"What does 'raining cats and dogs' mean,anyway?" 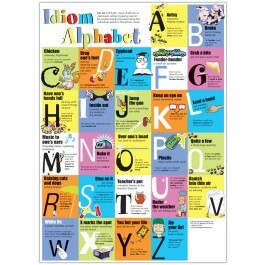 This dynamic poster takes a zany alphabetic look at idiomatic expressions, from "Antsy" all the way to "Zip Your Lip." 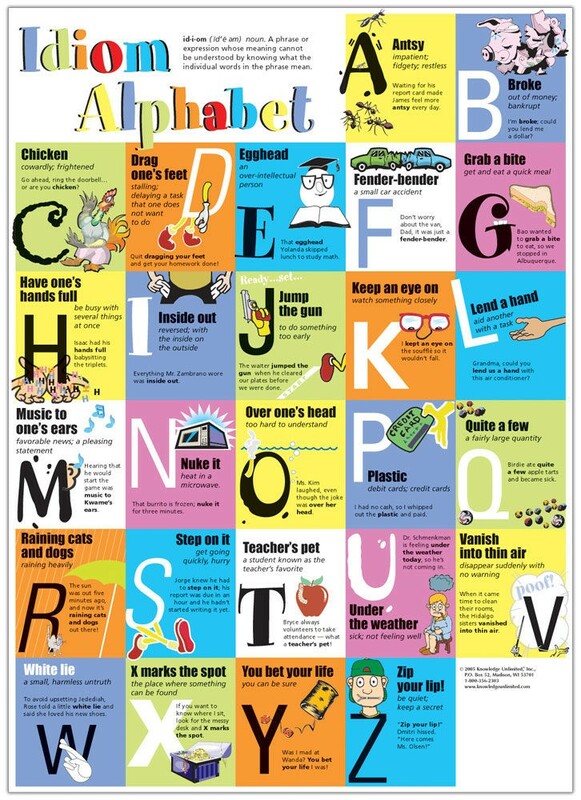 Every expression on the poster is defined and used in a sentence. Students will find that idioms that were once "over their heads" are now "music to their ears"!